Bishop Makarius has won much praise for demanding justice for victims of recurrent attacks on Copts. An Egyptian bishop has called for an end to discrimination against the country’s Christians, urging the government to do more to control the situation in villages across the country. 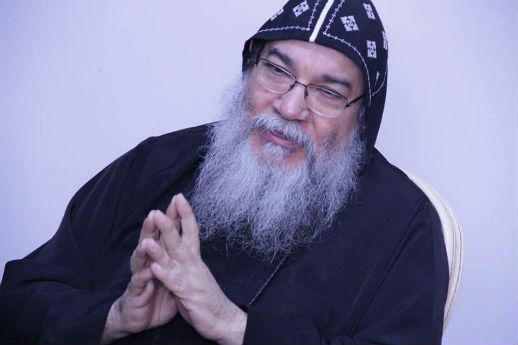 “We have to recognise everyone in Egypt as citizens of equal rights and obligations,” said Bishop Makarius in an Arabic interview to Christian website Copts United on 7 July. 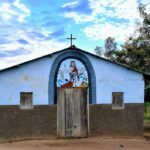 The bishop’s statements, translated to English by World Watch Monitor, indicate the church is unhappy that attacks continue without legal redress. Six weeks ago, Bishop Makarius won the praise of many Copts by standing out against extrajudicial “conciliation sessions”, whose judgments Christians often are pressured into accepting, to settle claims outside courts. Describing discrimination as a “disease” afflicting his country, Makarius said “marginalising Copts incapacitates part of the Egyptian body”. Since May, Copts have suffered at least two mob attacks. On 20 May, a Coptic grandmother was stripped naked and Christian homes were attacked after a rumoured affair between a Christian and a Muslim. On 17 June, reports of another Christian turning his home into a church prompted thousands of angry Muslims to go on the offensive in a village off Alexandria. Marginalising Copts incapacitates the Egyptian body. 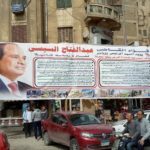 The May attack, as well one on 29 June, took place in Makarius’s diocese of Minya, whose main city lies 250 kilometres south of Cairo. Elsewhere, a Coptic priest was killed in Sinai on 30 June. The attack was claimed by the so-called “Islamic State”, which termed the Christian minister “an infidel fighter”. In other parts of the country, a priest’s daughter survived being stabbed in the neck on 2 July; a nun died of a “stray” bullet on the Cairo-Alexandria motorway on 5 July; and a fire broke out in a Christian kindergarten on 9 July. The outspoken bishop was quoted by Catholic Agenzia Fides on 10 July saying the pace of attacks in recent weeks has increased to one every 10 days. In his Copts United interview, Makarius called for a country welcoming every Egyptian. “Anyone, Muslim, Christian, Jewish or Baha’i should be a welcome addition to this country. 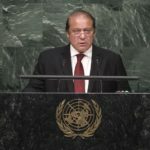 Anyone, regardless of their belief, can be a benefit to this country,” he said. The Copts’ list of grievances include restrictions against church construction, and exclusion from employment. Thought to be 10% of Egypt’s population, the country’s estimated 9 million Christians have long complained of unequal opportunities when it comes to senior and mid-level state jobs, including in the army, the police force, the judiciary, the diplomatic corps, and education. “I wish the government presence is better felt on village level,” Makarius said, describing most, if not all villages within his diocese, as under the sway of different powers that may not always work in the best national interest. In recent years, several villages and towns have seen attacks against Copts, often flaring at the slightest perceived provocation. Anyone, Muslim, Christian, Jewish or Baha’i should be a welcome addition to this country. Turning to another sore spot on the country’s penal code, Makarius called for reforming Article 98 of Egypt’s constitution, which concerns “defamation of religion” and, he said, mainly targets Christians. “We could accept the current article, no matter how harsh, were it applied even-handedly. But it seems to only apply to Christians,” Makarius said, complaining that numerous instances of contempt of Christianity have been carried out with impunity. “The [Egyptian] constitution contradicts itself. 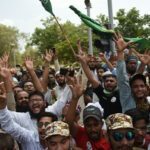 Some articles stress freedom of expression, while expressing a contrary opinion against [Islamic] religion is quickly judged as defamation,” the bishop said. The Egyptian Initiative for Personal Rights has documented scores of cases of blasphemy since 2011. Civil rights lawyer Hamdi al-Assyouti estimates that 90 per cent of blasphemy charges are filed against Christians.